The Banker Page efficiently allows producers to input and manage key pipeline information prior to deal close. 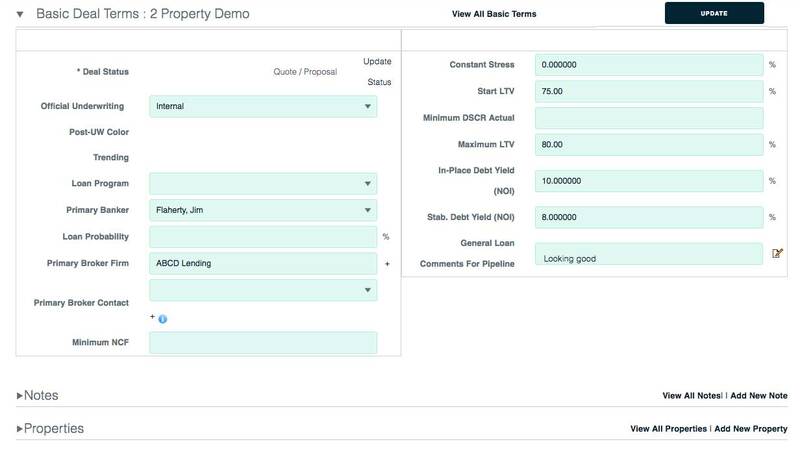 Properties: Producer can input and list each property individually, including largest tenants. Backshop provides clients the ability to configure the Banker Page for their own environments. This is achieved via code table maintenance, which allows maximum flexibility.